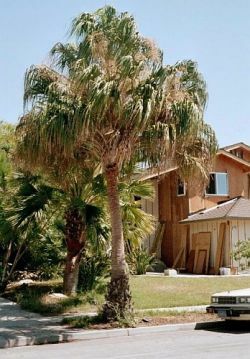 Comments: Fan palm native to coastal Queensland, Australia. Fronds are costapalmate--part fan and part feather, yellow-green and slightly armored with small curved thorns on the stem. Self-pruning and growth to 30'.